Somebody should have told you that insurance companies are impression-based. You must not take it personally because providing insurance to the public is a business. The list below will tell you not only the penalties but also the repercussions of late auto insurance payments. The insurance company may have to cancel your policy when you do not pay on time. While life insurance policies usually have a grace period, not all auto insurance companies allow a grace period within which you have to pay the premium. Do not be under the impression that you have a grace period. To be sure, read your insurance policy thoroughly. Reading the fine prints is important. Oh yes, you will be subjected to fines when you drive uninsured. And you will be driving uninsured when you do not pay the premiums of your insurance coverage. An expensive example is the fine imposed on New Yorkers. $8 a day for the first 30 days if you drive without insurance. It goes up to $10 a day on the 31st day, and $12 on the 61st. That is a lot of money wasted for someone who just forgot to pay. Car registration is a regulation by the state for car owners. It is mandatory, and having a car registration allows you to drive your car on state roads. This is why plates are procured. When you fail to pay your registration, you lose the right to drive the car, and if you do, it will be illegal. A strict example would be New York. Non-payment of premiums or a lapse in your insurance coverage will require you to turn in your registration and license tags. If you fail to comply, your registration will be suspended for the same number of days that you did not have insurance coverage. If this goes on for more than 90 days, your driver’s license will also be suspended for the same number of days as the registration. Non-payment of premiums can also bring about the suspension of your license. You will not be able to operate a motor vehicle during the period of suspension of your license. Non-payment of premiums may also require you to procure a SR-22, otherwise known as a “certificate of financial responsibility” or “SR-22 insurance.” It is not a type of car insurance but rather a guarantee of insurance that is needed to be requested from the car insurance company. This is usually required to be procured by those committing serious traffic violations like DUI, driving uninsured and serious car accidents, among others. It must be borne in mind that an SR-22 and an SR-22 insurance are two different things. The first is a certification of insurance while the latter is the requirement of purchasing insurance. Do not take it personally; insurance companies will have to take a look at your past to see if your previous insurance subscriptions have been cancelled and if yes, for what reason. 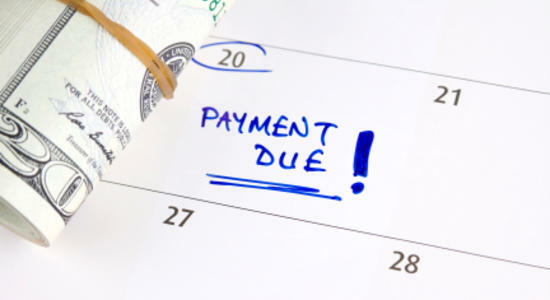 If you have a history of late payments, you will not likely be allowed to pay premiums on installment. Some may even reject your application. Or, you may be subjected to higher premium rates because of your not very amiable past.